What the Heck is an Agriturismo? Agriturismo (ag’ – rē – tü – rē’ smō) / noun / Italian / any agriculturally based operation or activity that brings visitors to a farm. It’s lunchtime at Agriturismo Rosa dei Venti, and eight hungry cyclists are getting ready for a feast. The scent of fresh rosemary wafts through the kitchen as a roast chicken sizzles in the oven. In the room next door, Barbara teaches everyone how to make fresh pasta, her expert hands massaging and stretching the elastic dough over a long wooden rolling pin. Each person takes a turn rolling up and slicing the dough into thick parpardelle, unfurling each section with a victorious flourish. “Bravi, bravissimi!” Barbara exclaims, and the whole room cheers enthusiastically. 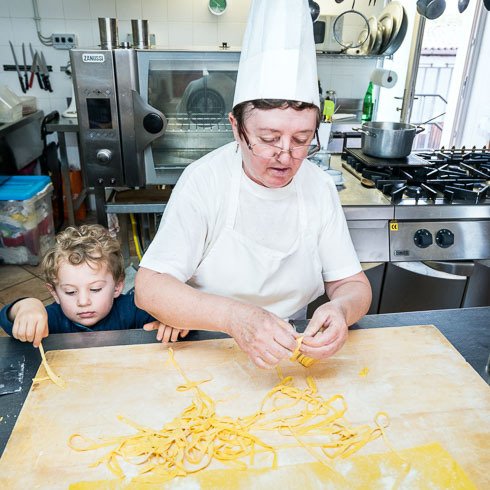 Experiences like these are what make Rosa dei Venti in Tuscany and other agriturismi special, inviting guests in like family and treating them to a healthy dose of Italian hospitality. But wait—what is an agriturismo, anyway? We asked Peter and Margot of MyItalySelection.com, a guide to Italian agriturismi (the plural form of agriturismo), to share with us the inside scoop on the world of agritourism and why every traveler should visit one on their next holiday. The word agriturismo is a combination of the Italian words agricoltura (agriculture) and turismo (tourism). An agriturismo is effectively a farm designed to also receive guests, whether for food (lunch and dinner), holiday accommodation, or a combination of the two. Some agriturismi may also offer self-catering apartments without breakfast, lunch, or dinner offered. The term refers to farms in Italy only, although other countries and languages have created their own word for a similar concept. What are the origins of the agriturismo? 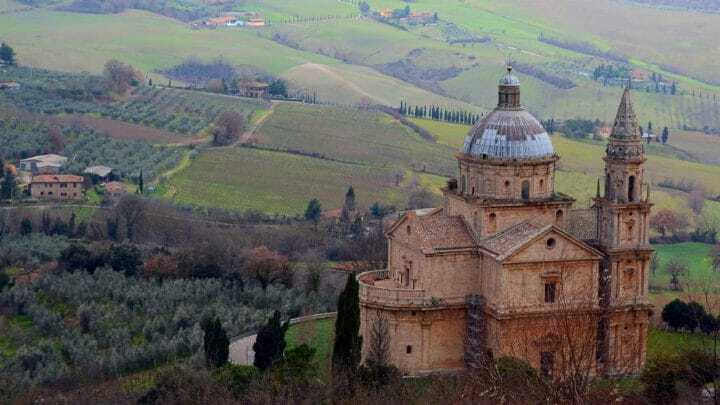 The farms of Italy are very different than the farms Americans are used to seeing, with hundreds of acres of crops or cattle designed for making a profit. Traditionally, an Italian farm was a place where a farmer grew everything he needed to live and perhaps a little extra to sell at the market for some extra spending money. In Italy, an old farm may contain no more than 25 acres. In the U.S, you may never consider that little plot of land as a feasible means of income or sustainability for a farmer. As these tiny Italian farms proceeded into modern times, they couldn’t make ends meet. In the 1950s and 60s, farming in Italy became much less profitable. Large farmhouses built for multiple families now housed just one family. Many farmers were forced to abandon their homes and move to the city to look for sustainable work. Generations of Italians became concerned that the farming culture was disappearing. In 1985, the Italian government officially recognized the concept of the “agriturismo.” The idea of agriturismo was to support small farmers that were, and still are, struggling to keep up. The agricultural activities today do not generate as much income as in previous generations, so by adding a tourism component, these farms can remain operational. As such, they preserve the landscape, farmhouses and local communities, and in this way agriturismo is a very sustainable form of tourism. Join DuVine in Piedmont to meet the family at Cascina Marcantonio, the Agriturismo of DuVine guide Guido Rapetti. What qualifications are required to become an griturismoa? First, an agriturismo has to be a working farm in some way. It can be a more traditional farm that produces things like wine, olive oil, meats, or cereals, but some agriturismi produce things like vegetables or herbs on a much smaller scale. Second, the products that are produced must be used in the preparation of food for the guests. The fruit must be used for making homemade marmalade at breakfast or the olive oil for typical local dishes served at dinner. Most agriturismi also sell their produce directly to guests. The more income a farm generates from agricultural activities, the more tourism activities they are allowed to provide (i.e. the more rooms they can offer to guests). 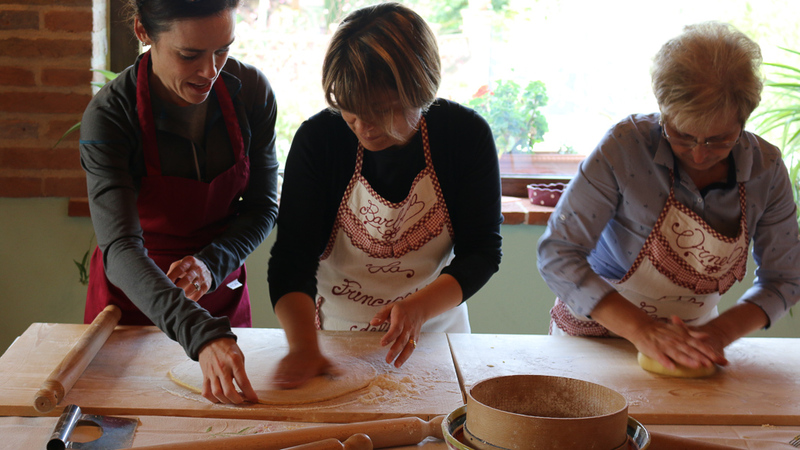 What are the benefits of becoming an agriturismo? The agriturismo law offered former farmers who had moved to the city a chance to go back to their roots and to apply for government grants to restructure their family homes into guest houses or restaurants. But to be clear, this government grant is not free. Most farmers must invest a large sum of their own money to receive the grant and tax benefits that an agriturismo designation brings with it. Agriturismi can also sell their goods for low prices and sell products directly to guests. 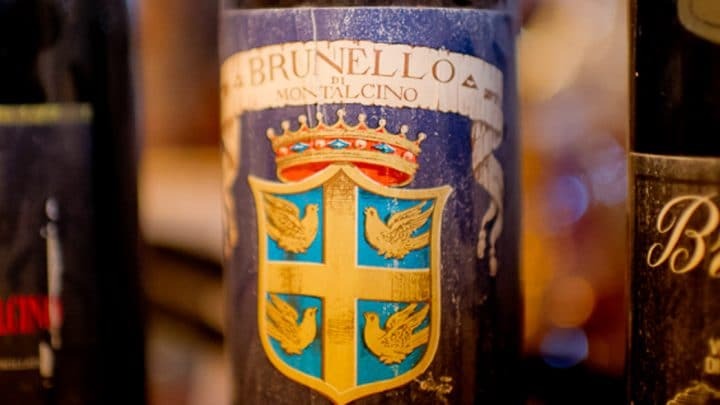 For example, at an agriturismo with a restaurant, the farmer can sell his wine at 8-10 Euros. The guests get a great price, and the farmer also makes enough profit to earn a living. How do agriturismi compare to hotels? Of the approximately 17,000 agriturismi in Italy today, nearly all of them are family-run, and the owners also dedicate their time to agricultural activities. The farmhouse concept may lead potential visitors to believe that an agriturismo offers rustic accommodations, but many agriturismi offer luxurious lodging. However, guests should not confuse an agriturismo, luxury or not, with a luxury hotel. The number of rooms is limited (usually fewer than ten), which does not allow for things like a concierge, 24-hour reception, room service, late dinner, etc. However, you can expect great Italian hospitality and a very warm welcome! There are many reasons to visit an agriturismo on your next vacation. Here are some reasons to consider staying at an agriturismo from our friends and Italian travel experts Margot and Peter from My Italy Selection. Living like a Local. When you visit an agriturismo, you have a chance to meet the locals and see and experience farm life up close. Often guests can take part in shared dinners and tastings, and you can really live the experience by adding a cooking class, truffle hunt, or horseback ride. Location, Location, Location. When you choose an agriturismo for your accommodation, you are also situated in the countryside where you can enjoy great views, silence, and starry skies at night. A Good Value. Agriturismi are a very good value for the money. They are traditionally much less expensive than staying in a hotel (usually 30-70 Euros per night), and although they don’t offer quite the same service as a hotel may be able to provide, you are sure to experience an authentic stay. A Value in Doing Good. When you visit an agriturismo, you can pat yourself on the back. Why? Because you are giving something back. Your visit allows the farmers to preserve the landscape, farmhouse, and the local community. 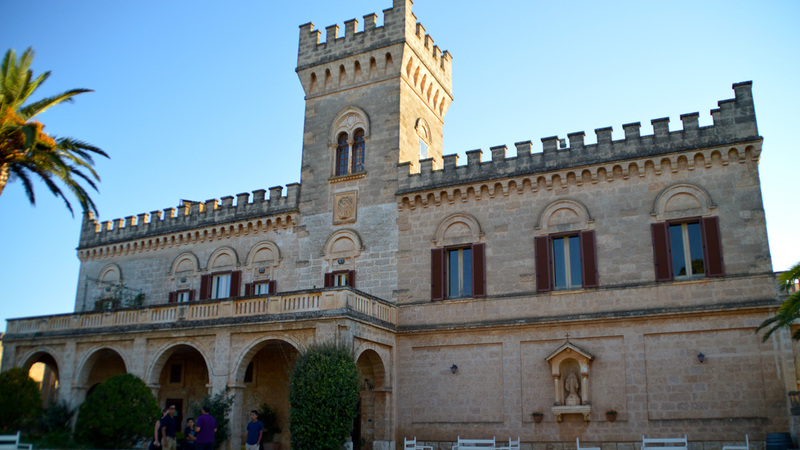 Take a cooking class with our friends at Masseria Salamina on a DuVine Puglia tour. The only downside to agriturismi is that most of them do not spend much money (if any!) on advertising. Many do not even have websites, so for the average visitor, they can be hard to find. Agriturisimi play a prominent role on DuVine’s tours in Piedmont, Tuscany, Umbria, Sicily and Puglia. 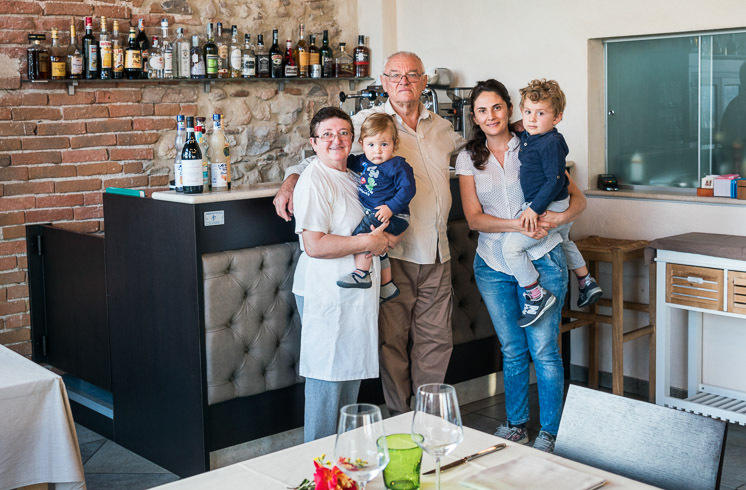 If you’d like to visit an agriturismo before or after your tour, we recommend connecting with our friends Margot and Peter at My Italy Selection, who will help you find the perfect place to stay. Buon viaggio!